Posted on December 31, 2018 by thisispatch. 2018 was a stellar year for movies. More often than not, I found myself asking the question “Can this year get any better?” after finishing one of the many great films ranging from big blockbusters to upstart independents to non-fiction narratives. Anytime I do a top 10, wrestling with the ones that “didn’t make the cut” makes me feel like a coach that has to cut those players that were great, but just not great enough. That doesn’t negate the films’ impact on me by any means. Sometimes, you just have to make sacrifices. However, I’m not going to completely disregard them, so here are my honorable Top 5 Best of the Rest of 2018. Now, for the all-star team of films that I chose, I was surprised at how varied my list was. That says so much about how great this year was in film-making. If you are reading this, I hope that you’ve had a chance to see these films, and if not, that this will encourage you to do so. 10. RALPH BREAKS THE INTERNET – Sequels can be a high risk/high reward avenue when it comes to franchises. Honestly, I was content with Wreck It Ralph as a stand-alone feature. That story was told. What more needed to be said? Well, apparently, a whole internet’s worth of stories. What the first film did for my love of all things gaming, the sequel successfully pulled off the personification of the world of cyberspace. Not only that, but the message at the heart of Ralph 2 is one that I wasn’t expecting, one that speaks to the importance of what real friendship is. 9. FIRST MAN – Damien Chazelle + Ryan Gosling + Space = Yes Please. I thought I knew what I was getting when I walked into the theater. Apollo 13, The Right Stuff, and From Earth to the Moon are staple space viewings for me. But I walked out of the theater saying, “Wow, that really was about Neil Armstrong.” I thought that I was going to get a movie about space and the guy who first set foot on the moon. Instead I got an intimate portrayal of a man who struggled with the weight of being a father, a husband, and an astronaut, all while dealing with grief over the loss of a child. Any nominations this film get are much deserved, and I hope to see that come awards season. 8. A STAR IS BORN – This was a movie that I had very little interest in. I hadn’t seen any of the previous iterations, and thinking about Lady Gaga in a theatrical performance where she may be out of her element (aka not dressed up as something obnoxious) didn’t give me a lot of hype value. But then I watched the opening performance by director/actor Bradley Cooper, a man who altered his whole persona (voice included) to own this role of Jackson Maine, and I was floored. Then Lady Gaga comes in and completely sells me on her character, Ally, not only with her singing chops (this I knew) but the way in which she and Cooper’s chemistry worked so well. This film did so much in helping me see that beauty and ugliness of a star’s life, how it can change you and turn you into something you aren’t proud of. It also showed me how the love two people have in the midst of that can not only survive, but succeed, and leave a lasting legacy. 7. 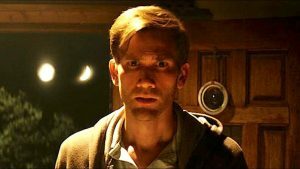 THE ENDLESS – Imagine a movie that tells you one thing and then about half way through, shouts in your face “Gotcha.” Now imagine if that worked for you. I’ve had experiences like that, where I’m sold on a movies premise and then it completely goes sideways. More often than not, it spoils my movie experience. The Endless just ratcheted it up to another level of enjoyment. It’s drama and sci-fi, two things I love, but packaged together in a way that I have never seen before. I can’t say much more without spoiling it, but of any movie on this list, I would say see this as soon as you can. 6. READY PLAYER ONE – Book to movie adaptations can be a slippery slope. I’ve learned to extend a lot more grace as I’ve watched more of these as long as the central plot doesn’t change and characters don’t become inconsistent with who their book counterparts are (I’m looking at you Percy Jackson). But something interesting happened with Ready Player One for me. While those two character traits stayed intact for the most part, the book and movie became two different experiences because of the amount of changes that Spielberg and company implemented. Some will complain that the deviations from the source material detracted from the quality, I would make the opposite observation. The spirit of what the book was trying to do played out on the big screen, and the changes done made so much more sense in that medium. I love being able to have two unique experiences when it comes one of my favorite stories in the last decade. 5. AVENGERS: INFINITY WAR – Stakes. That’s what seemed to be missing for me in the massive success that is the MCU. Infinity War changed that. Finally, we had real consequences to a universe that has been growing for 10 years. Finally, we had significant sacrifices with the real possibility that some of our favorite heroes have been lost for good. And finally, the MCU gave us a villain that wasn’t as flat as a pancake. Infinity War got my superhero excitement revived and my hope is that Avengers: Endgame finds its way to this list in 2019. 4. THE HATE U GIVE – If I had to give a One Word Takeaway for this film, it would be “honest.” I’ll admit this was a hard watch for me. It’s a movie that finds a way to portray the ugly reality of what our current racial landscape looks like, to walk in the shoes of a young black teenager. To say this film is important is an understatement. It’s a conversation starter and a perspective changer. But it’s also a movie that, in the most subtle way, leaves me with a sense of hope, and it’s an honest hope. It’s a reminder that even though things are ugly and may always be that way, I don’t have to be a part of that ugliness. I can help be a voice that changes the conversation, the perception, and the landscape. 3. EIGHTH GRADE – This movie and The Hate U Give were neck and neck in my final rankings, and on any given day I could switch the two. Eighth Grade hits all the emotional notes for me, a guy who never cries, enough to start sobbing in the middle of the gym while on a treadmill. I confess that I don’t have a middle school daughter. Currently, I’m experiencing what it’s like to live with a 6 year old boy. But the truths presented in this film still resonate with me. I was that awkward kid trying to figure out who I was, caught in the middle of elementary school and high school. I am also a dad that knows those experiences are going to befall my child one day and as a dad, I can’t even begin to know how to handle it. But that’s okay. This film is a fantastic depiction of the beauty that can exist in the messiness of life. It’s also one that leaves me feeling hopeful as a dad. Gucci! 2. SPIDER-MAN: INTO THE SPIDER-VERSE – My most anticipated movie of 2018 did NOT disappoint. From the animation to the narrative to the adaption of the comic event that, in and of itself is fantastic, this film helmed by the guys behind THE LEGO MOVIE and LEGO BATMAN brought exactly what I expected and more. Spider-Verse gave me, not only a fresh take on Marvel’s flagship character, but also opened the door for more stories that could come from this “spider-verse” and what that could mean for introducing more different kinds of spider characters. I would not be disappointed if I got to experience a new Spider-Verse film every holiday season. Merry Christmas to me. 1. HEARTS BEAT LOUD – Where did THIS film come from? Had it not been for my best friend pointing me to this movie, I wouldn’t have even considered it as a contender. And why would I. Independent movies have a hard time finding their way to my neck of the woods. Fortunately, I was able to see it and my goodness, I hadn’t felt the way I did since Sing Street. It hits all the right notes for me. Drama, family relationships, and music. Lots of great music. Kiersey Clemons and Nick Offerman make a fantastic father/daughter combination. It’s tender, funny when it needs to be, and doesn’t try to be anything more than it sets out to be. Movies like this, because of their quiet demeanor are not going to get a lot of recognition, and that’s sad. Nonetheless, it topped my list and I will gladly champion it as much as I can. 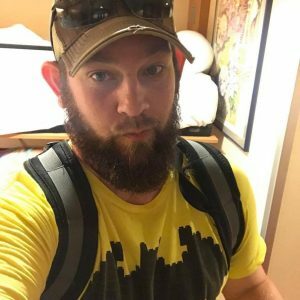 Patrick “Patch” Hicks calls Little Rock, Arkansas home with his family of four (his wife, son and three pets). 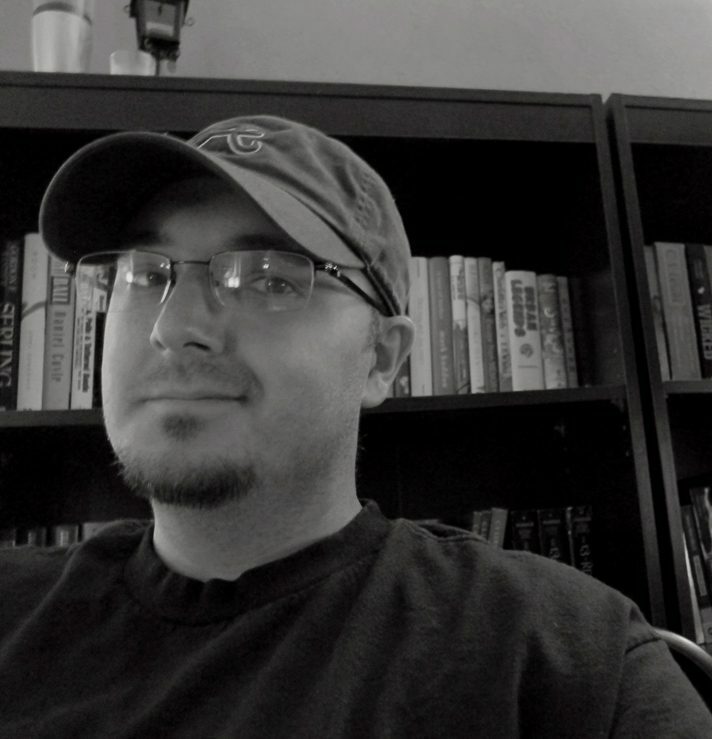 When he’s not podcasting, he works as a multimedia designer and is also dabbling in the art of writing and directing. 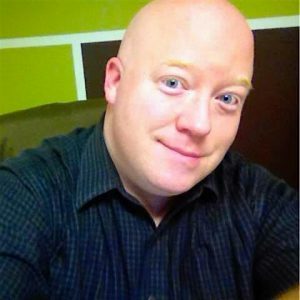 You can find him floating around the web on Twitter, Facebook, and his home on the web, ThisIsPatch.com. Posted on December 19, 2018 by AaronElWhite. Roma, If Beale Street Could Talk, Black Panther, Upgrade, Burning, A Quiet Place, First Reformed, Widows, Ralph Breaks the Internet, and Won’t You Be My Neighbor? These are just some of the wonderful movies released this year (out of 171 new films seen, up from 155 last year) which I couldn’t find room for in my Top 20, much less my Top 10, but still heartily recommend you seek out and see. The process of narrowing down my favorites to the top ten films of the year was a painful experience that required a lot of reflection and time. Just know that I harbor deep affection for many of the films you see listed earlier in this introduction and also below in the #11-20 special mention spots. With regards to my criteria, when it comes to ranking films critically, I do that as part of my membership in the Seattle Film Critics Society (see our awards here).  But here at Feelin’ Film we focus on matters of the heart, so my chosen films are often ones that I found the most affecting in 2018 – those movies that provided me an incredible emotional experience of some sort. Other things that factor strongly into my ranking are how likely I am to remember a film months down the road and rewatchability, so think of this list as leaning more favorite than best. In order to make this a tad easier on myself, and also because they truly are a unique medium unto themselves, I have listed my Top 5 Documentaries separately. This was an incredible year for non-fiction filmmaking and more than one of these below would be featured in my Top 10 of the year if these lists were combined. 5. SCIENCE FAIR – An entertaining, encouraging, and essential spotlight on some of the bright young minds that will be responsible for innovations and research that dictate the future of humanity. This inspirational, feel-good documentary follows a handful of brilliant multi-ethnic teenagers from around the world as they compete at the annual International Science and Engineering Fair (ISEF), the “Olympics of science fair”, and is a heartfelt celebration of both their drive to learn and the parents and teachers who support their ambition. 4. WON’T YOU BE MY NEIGHBOR? – I knew very little about Fred Rogers, the iconic and innovative television personality, before seeing this story about his life. His heart for children and unwavering hope to see every person loved and respected for who they are, as well as his sense of ministry and passion for child development, led to an incredible career of service that the world sorely needed. It was a joy to learn about his life through those who knew him and a reminder that the world could sure use a solid dose of Mister Rogers again today. 3. MINDING THE GAP – Incredibly personal story of three skateboarding friends, one of which is documenting their lives over the course of many years Boyhood-style. The film takes unexpected turns in dealing with the realities of absentee fathers, the challenges of parenting, and domestic abuse, but the honesty and courage of director Bing Liu and his friends throughout the process creates an experience that is extremely important and potentially life-changing for viewers. 2. THEY SHALL NOT GROW OLD – An immersive documentary experience like nothing that has ever been made before. What Peter Jackson has done with previously unseen archival footage from the Imperial War Museum, restoring and colorizing it, then combining it with recorded interviews of the very soldiers who lived through World War I, is truly stunning and deeply intimate. The film is nothing less than a triumphant tribute to those who served and an impressive technical marvel that sets a new standard for the kind of storytelling that can be achieved in 2018 and beyond. 10. THE HATE U GIVE – I was a complete wreck watching this film from start to finish. It provides perspectives on police violence and race that you just can’t get without intimately knowing people who’ve lived through the kind of experiences these characters do, and does so through expert filmmaking, performances, score, and script. It’s eye-opening, heartbreaking, and evocative. It is also entertaining in stretches, but engaging with the complex thematic material is challenging. The emotional experience I had watching The Hate U Give was likely the most powerful one I had all year, and if there is one film that I find vitally important enough to suggest families see it with their teenagers, this is the one. 3. AQUAMAN – Do you remember the moment when you became a fan of something? My favorite superhero of all-time is Batman, and seeing Michael Keaton on the big screen is what kicked off a nearly 30-year love affair with the caped crusader. I also cannot forget the feeling inside me when I first witnessed Middle-earth in Peter Jackson’s The Lord of the Rings trilogy. I enjoyed the books before that, but seeing them realized in a cinematic way is what cemented my extreme fandom. Well, this year that happened again, and came from a completely unexpected place. Aquaman is a combination of things that I love. It is an underwater Star Wars, with the visual world-building of Tron: Legacy and Avatar, plus an adventurous quest for a relic a la an Uncharted video game, and topped off with epic Lord of the Rings-like battles. I had little to no knowledge of the character prior to this film, but I fell hard for the origin story of this king torn between two natures, wrestling with guilt, familial conflict, and mercy. The visuals, the score, the performances, the costumes, the amazing action, and the campy way in which this epic tale is constructed fit together perfectly for me. Thanks to this film, I am now an Aquaman fan and riding this rare wave of pure bliss as far as it will take me. 2. BLINDSPOTTING – Rarely have I ever been been so floored by a film. This movie gave me one of the most emotionally visceral cinematic experiences that I’ve had this year, leaving me thoroughly exhausted and in need of both a hug and a nap. The performances by Diggs and Casal are phenomenal. The script, which the two friends/stars spent years developing, is the best of the year and brings absolute fire in every scene. There is so much heart in this funny, thought-provoking, entertaining picture that perfectly expresses a relevant rage about such topics as police violence, gentrification, post-traumatic stress, and more. The battle between #1 and #2 was very, very close, and I suspect that Blindspotting is the type of film whose genius ability to address these topics in an honest but healthy way will only be appreciated more as time passes. Posted on January 2, 2018 by Steve Clifton. Despite all of the turmoil oozing out of Hollywood this year, 2017 still managed to supply us with a bevy of wonderful films to enjoy. I feel like a lot of blockbusters rose to the next level this year, and as always, there were plenty of fantastic independent films to balance everything out. My top 10 of the year is indicative of this balance. As always, there were a handful of potentials I just haven’t had a chance to see yet, either due to lack of time, or due to the geographical restrictions of living in the great tundra that is Maine, where we aren’t typically privy to early releases. So, some of the buzz worthy films that I haven’t yet peeped… The Darkest Hour, Phantom Thread, The Post, The Shape of Water, and Wonderstruck. I’m sure there are a few more, but these stand out for me at the moment. 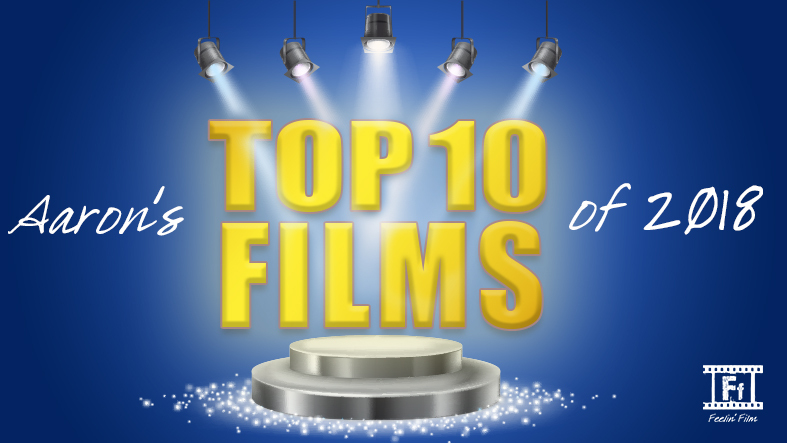 Shuffling the top 10 deck was difficult this year, simply because there were so many excellent films to choose from. I seriously feel that many of my 11-20 list could easily be considered for higher standing. But, as they say, you have to be prepared to kill your darlings. I’m not going to regale you with any commentary on my “not quite” top ten (ie: 11-20), but I’ll list them, and you should know that all are fantastic and should be on your cinematic radar. 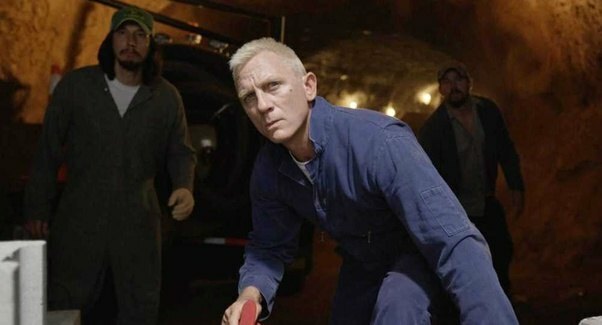 Steven Soderbergh comes out of “retirement” to give us Ocean’s Eleven with rednecks, but he never cheapens the experience with tired cultural cliches. Okay, there are a few tired cultural cliches, but they don’t drag the film down. The characters have depth and the actors are all in on this madcap adventure which finds them plotting to rob the Charlotte Motor Speedway on the 4th of July. What could possibly go wrong? This is the film Patriot’s Day wishes it was. 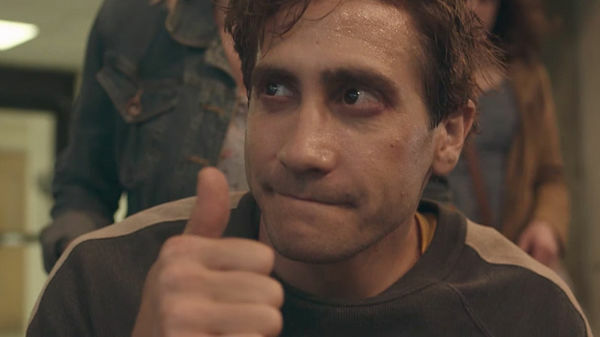 Choosing to focus less on the capture of the perpetrators of the cowardly bombing of the Boston Marathon, Stronger instead follows the story of bombing victim Jeff Bauman, played here with ferocious abandon by Jake Gyllenhaal, and the struggle of coming to terms with being thrust into the spotlight as a symbol of hope for an entire nation. 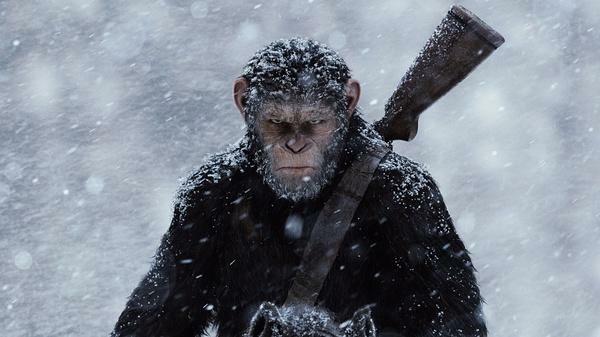 The rebooted Apes trilogy comes to an end with one of the most heartfelt and well crafted war movies in recent memory. This series has gotten better with each installment, hitting all the right notes in the telling of Caesar’s story. The special effects are unmatched. And I’m coming around to the idea that Andy Serkis deserves some recognition from the Academy for his motion capture work. It’s not often you find a horror film getting so much attention during the awards push, but Jordan Peele’s take on race relations in our society disguised as a genre film is simply outstanding in its structure. 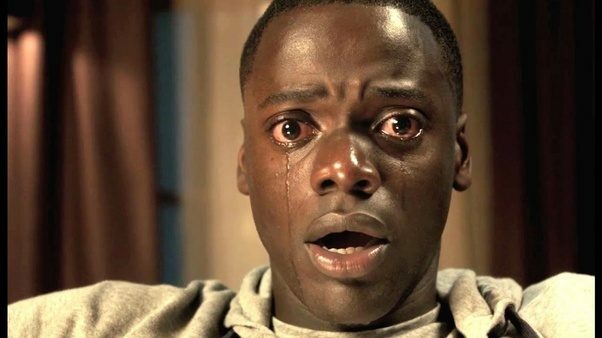 Funny, scary, and poignant- wrapped up in a tight script, Get Out is a breath of well intended and needed fresh air- conveying a necessary message in our current cultural state. 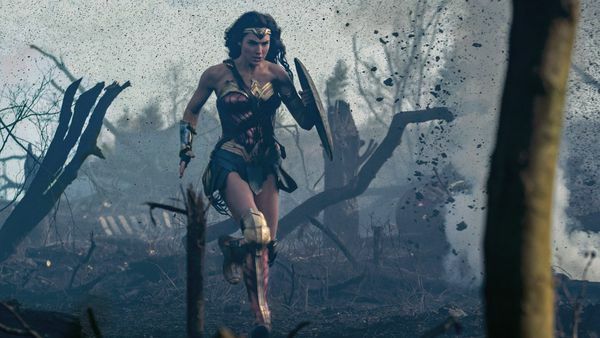 With undoubtedly one of the best scenes of the year- as Wonder Woman (Gal Gadot) ascends to her rightful place as warrior princess in the Battle of No Man’s Land, a female icon is finally emblazoned into the fabric of cinematic geekdom. Director Patty Jenkins was without a doubt the right choice to bring Diana’s story to life on the big screen, and to see the impact on the faces of empowered women and girls is easily one of the hallmarks of the 2017 cinematic year. 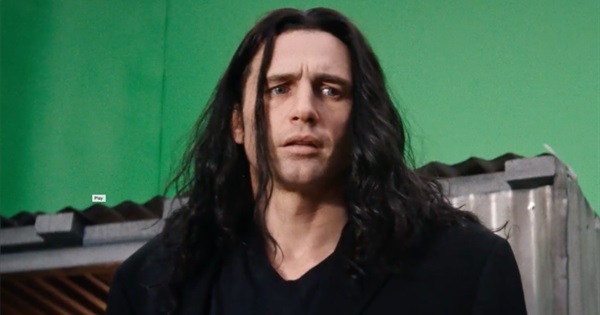 Based on the making of the 2003 “Citizen Kane” of bad movies, The Room, James Franco deep dives into the persona of eccentric writer/director Tommy Wiseau and the calamity that surrounded the production of his cinematic oddity. Watching The Room is highly recommended before jumping into The Disaster Artist. Having that context greatly enhances the appreciation for what Franco achieved…..Oh, Hi, Mark! A deeply moving look at grieving and loneliness, A Ghost Story will not be for everyone. Each scene is a haunting portrayal of loss, shown from both sides of the equation- the living that must move on, and the dead that cannot. This is a deeply emotional and affecting film, shot in a way that can often be uncomfortably slow of pace. Those with a lack of patience may struggle, but if given a chance, this is a film that will resonate on a deep level. Having worked for Disney for nine years, this story felt very close to home for me. Knowing there were pockets of people living far beneath the poverty line mere minutes from the front gates of the Happiest Place on Earth make me feel equal parts ignorant and culpable. This film is an unflinching look at people living day to day in the shadow of a world that has essentially left them behind. Yet, in all of its squalor, the spirit of six year old Moonee (Brooklyn Prince) and her friends is rooted in an innocence that is often as hopeful as it is bleak. 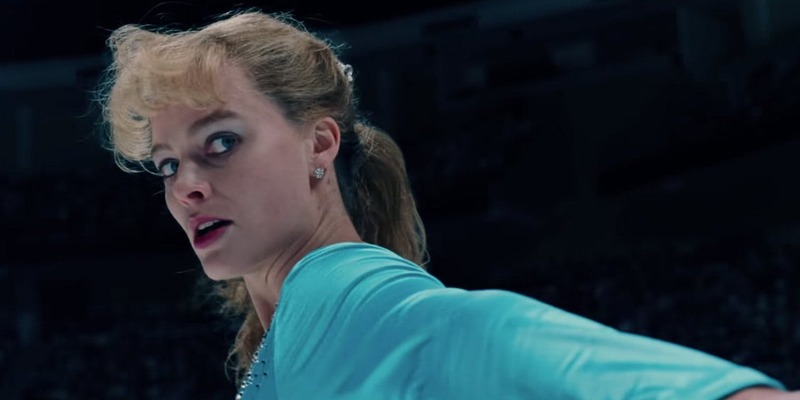 Margot Robbie is fantastic as figure skating’s bad girl, Tonya Harding. Director Craig Gillespie shoots the film in a way that accentuates the zany humor of the scandal surrounding the 1992 olympic games, but he never cheapens the awful abuse levied against Harding by her family and her on again / off again love interest, Jeff Gillooly (here portrayed by Sebastien Stan). Harding, while not completely innocent, is treated mostly as a product of her environment, unable to free herself of the bad influences in her life, and she comes away here as a mostly sympathetic figure. Allison Janney, as Harding’s Mom, is a stand out. In what seems to be a renaissance of coming of age films, Lady Bird raises the bar even further, perhaps to a place unaccessible for whatever comes next. Greta Gerwig’s scriptwriting is so tight, it’s difficult to find any flaw in the narrative of high school senior Christine “Lady Bird” McPherson, all at once head strong and in search of an identity. Her contentious relationship with her mother Marion (an award worthy Laurie Metcalf) provides the crux for everything happening on screen. The result is a heartfelt and sometimes difficult look at love and familial relationships, told in a refreshingly honest way. Steve’s first cinematic experience dates back to 1972, when his Aunt took him to see Dumbo at Buffalo’s historic North Park Theater. With the seed planted, his love for movies has blossomed into a full time obsession over the years, and he will happily engage in conversation about all things film related, especially the works of Richard Linklater and Quentin Tarantino. 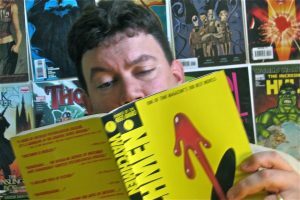 He also manages to find time to keep current on the plethora of great television shows and comic book series, and build upon his retro vinyl collection. He lives in South Portland, Maine with his wife and a menagerie of small furry pets. 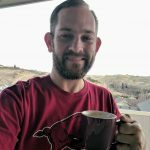 When not engaged in the latest pop culture phenomenon, he spends time working on creative writing projects or updating his personal blog, popcornconfessional.com. Follow him on social media at facebook.com/popcornconfessional/ and Twitter@woosterbbb. Posted on January 1, 2018 by everymoviehasalesson. The end of the year brings grading and reflection points for both the school teacher in me and the film critic. 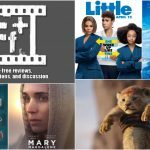 Looking at the online Trapper Keeper portfolio called Every Movie has a Lesson, I published 126 full film reviews in 2017, topping last year’s 114 and setting a new high mark. When I did my website’s first “10 Best” year-end list in 2011, that number was 53. Humming along with press credentials, festival access, and being part of the Chicago Independent Film Critics Circle as a recognized awards-voting body, I can’t even remember what 53 feels like. Even at 126, I feel like I left plenty of opportunities on the table living in a big market with a great reach of films. For the purposes of a proper “10 Best” list, short of not making it to The Disaster Artist, Mudbound, and Molly’s Game quite yet, I feel sound about 2017 and have no problem calling it a fair to middling year. By this teacher’s math and reflection, 2017 < 2016 < 2015. Give me the likes of Sicario, Creed, Brooklyn, Spotlight, Room, La La Land, Jackie, Moonlight, A Monster Calls, and more compared to most of the 20 films listed below. Focusing back to now, only three of my “so far” picks from this past June made the final ten this year. Here’s my definitive list. True to my website’s specialty, each film will be paired with its best life lesson. Enjoy! BEST LESSON: PUNCHY WHIMSY— All of Lady Bird’s conflicts and clashes build to swelling peaks of emotion and legitimate feels. Gerwig’s film is one heck of a debut and shows that a good cry and awkward laughs do go together when assembled with truth and care. When it hits, my goodness, it hits. When it charms, by golly, it charms. Few films this year can tout such towering achievements of writing and performance to create such a genuinely satisfying experience. 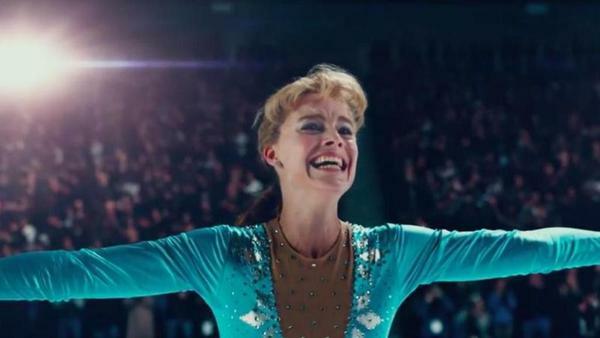 BEST LESSON: EVERYONE MIGHT BE TELLING THEIR TRUTH, BUT NO ONE IS TELLING THE REAL TRUTH–The true merriment of I, Tonya is the trying to sniff out the bullsh-it. Many of us remember witnessing the tabloid history unfold on television before our very shocked and captivated eyes in a era before the 24-hour news cycle. Even know the fate of the characters, this film’s spin of such events will glue you to the screen preparing for the suspense of possibly observing a few chapters of “what really happened.” Who’s right and who is full of it? 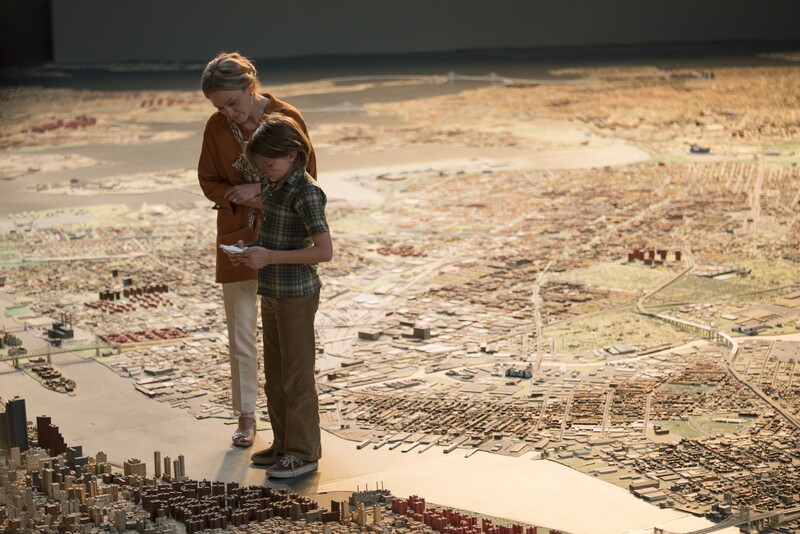 BEST LESSON: THE MAJESTY OF MUSEUMS— Both in the novel and in film form, Wonderstruck is a love letter to museums, their history, and their continuing presence as authentic experiences. It starts with one person gathering a collection of interest, a “cabinet of wonder” if you will be that in a single room or an expansive complex, and deciding to share it with a larger audience. In the present-day of Google, Wikipedia, content apps, and innumerable virtual experiences, there should always be a place for the tangible and real wonders right before our eyes in museums. Calling them magical is not enough and calling them antiquated should be a compliment and not a slight. 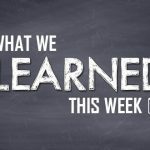 BEST LESSON: APES AND HUMANS HAVE MORE SIMILARITIES THAN WE ALL REALIZE— Due to the increases in peril and consequences, this is a repeated lesson from Dawn of the Planet of the Apes that is cemented even further in this third film. Both primate species love their families, cling to their homes, and possess tangible feelings and emotions that drive their actions and personalities. “Humanity” doesn’t have exclusivity to those behaviors in this fictional world anymore. BEST LESSON: FIND SOMEONE YOU CAN BE OVERWHELMED BY— This lesson is going to sound like one of those “find someone who looks at you the way so-and-so looks at such-and-such” memes, but captivating ga-ga devotion is a real draw. The film uses the word “overwhelm” when it talks about measuring such love and it couldn’t be more spot-on advice. Love has its own rules and it’s just as hard to keep as it is to earn. BEST LESSON: ACCEPTING MORTALITY— Nothing is permanent and the biggest truth to be told is the finality of the human condition. No matter the level of your faith or depth of character, misgivings about your own ephemerality are inevitable feelings we all share. We would all be so “lucky” to reach our nineties to have that revelation. 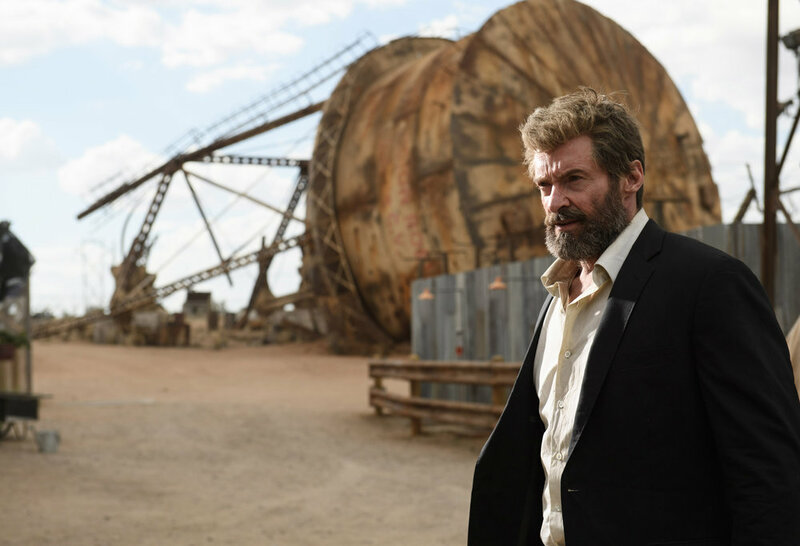 DF-13002 – Hugh Jackman stars as Logan/Wolverine in LOGAN. Photo Credit: Ben Rothstein. BEST LESSON: THE POWERFUL NEED FOR FATHER FIGURES— Loganopenly creates a parallel with 1953’s seminal western classic Shane and it is an ideal thematic pairing. Alan Ladd’s reluctant gunfighter and Jackman’s Wolverine embody the fight for the defenseless as well as the influential father figure role of this lesson. Laura is another Little Joe and but one more person Logan leaves a positive mark on in his world. Tales may be written on the actions of heroes, but the personal connections they build and leave behind are where the real legend lies. BEST LESSON: THE CAPACITY TO FEEL EMPATHY— The crucial emotional response The Florida Project demands of its viewers is empathy. If you can’t find that, if you turn your nose, close your eyes, and refuse to accept that this kind of American lifestyle exists, you are missing the hard truths, the teachable moments, and the larger points being presented. Become compassionate enough to remove the negative prefixes from Mother Teresa’s quote of “unwanted, unloved and uncared for” when it comes to addressing poverty. Take her advice and start in your own home and community. BEST LESSON: “WHATEVER YOU DO, DO IT CAREFULLY”— This quote from Lewis’s Reynolds, the peak of the film’s trailer, sent in the direction of his new muse could be echoed in dozens of aspects of one’s life. Mundane activities could become effective and even artful with an extra level of paid care and consideration. At the same time, there is an unsettling level to that rigidity. Often there is a missing flexibility to perfectionist who cannot get over themselves or adjust their idiosyncrasies. BEST LESSON: INTERPRETING AN ARTIST— Subjected to ridicule and criticism from a young age to his last, Van Gogh’s talent and purpose were always questioned before the established reverence that followed his death. 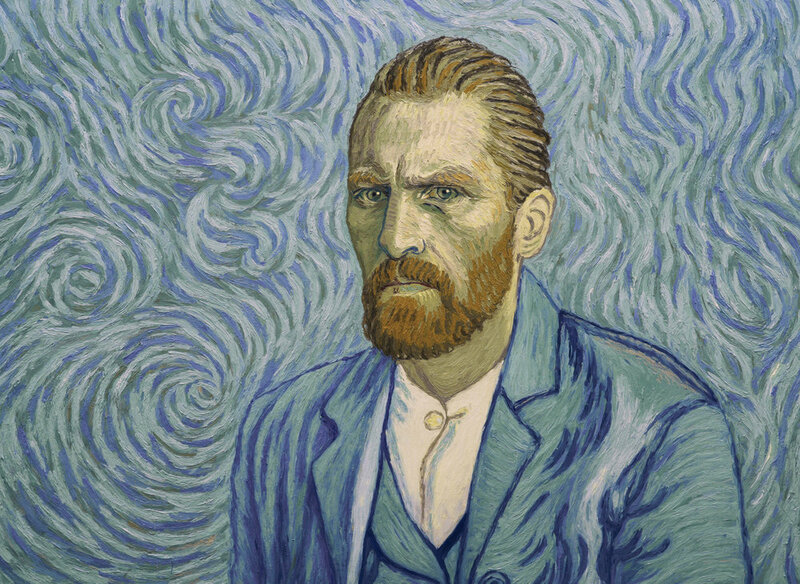 Another Van Gogh quote in the film reads “We cannot speak other than by our paintings.” Sometimes artists are not peaceful souls. The few people that did realize his greatness in the moment were not enough to save his. When I can, I dip my toe into the world of short films and I’m beginning to love the art form and the efficiency of its skill. Merely scratching the surface of this form of film medium, among the handful I saw and reviewed this year, Not Yet was a five-star gem. Picture one of those expressive and imaginary Pixar shorts that open their films and apply live-action human emotion to it That will give you a taste of Not Yet. My full review has a link to the short for you to see for yourself. I promise nothing but smiles. 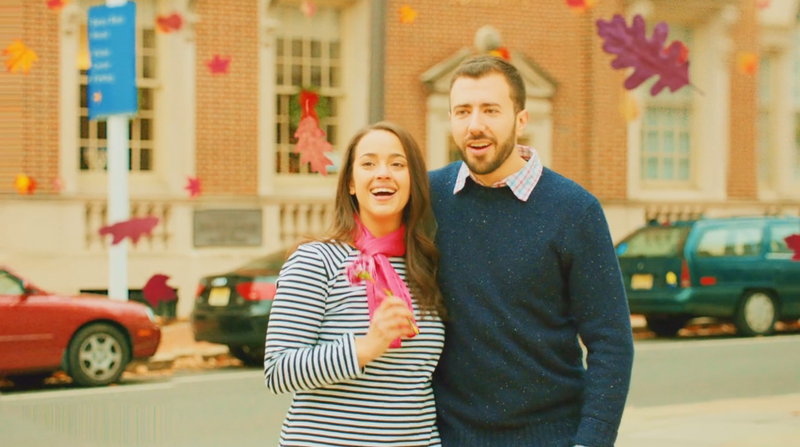 BEST LESSON: THE IMMENSE CHALLENGES OF CHEERING SOMEONE UP— Some folks are tough nuts to crack in the cheer department. Add the physical drain and toll of illness into that equation of happiness and the challenge is even greater. Self-deprecating humor in this situation often works in spades, but there’s one action that’s even better: Love. In Not Yet, you have a man that unabashedly loves his wife with every ounce of willingness and companionship. Love always wins the best cheers. Posted on December 21, 2017 by AaronElWhite. Christmas-time, a season of joy. A time when many take a much needed break to relax, enjoy family, and celebrate religious traditions. Oh, and there’s also that fun little part of gift giving. Well, Christmas is also the time when film critics are finalizing their year-end lists, a gift given to the world (but without that whole relaxation part). So, after much debate and internal stress, I’m ready to discuss my Top 10 favorite films of the year. There are many lists out there, but I expect you won’t find another one that matches up perfectly with mine. Now about those movies. 2017 was a fantastic year at the cinema. 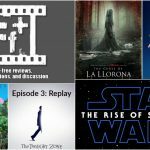 Offering numerous superb indie hits, documentaries, and some big, unique blockbusters as well, the wealth of exceptional and diverse content was both a blessing and a curse. Experiencing all of these wonderful films was great, but trying to rank them, not so much. So my disclaimer is that while 10 have been highlighted, with 10 more selected for recognition as just missing the cut, even these films don’t scratch the surface of what 2017 provided in terms of quality. 10. STAR WARS: THE LAST JEDI – This spot on a Top 10 list is always a brutal decision. No less than five other films got serious consideration here, and I could make an equal case for any of them. Ultimately, I had to go with a film that blew me away my expectations and reinvigorated my childhood love of a franchise. STAR WARS: THE LAST JEDI is not without faults, but it is a wonderful next step in this new trilogy and one of most epic cinematic space operas since THE EMPIRE STRIKES BACK. Its unexpected plot choices had me gasping in surprise, and several emotional moments brought me to tears. Its impossible not to respect director Rian Johnson’s talent, ambition, and passion, especially as the film’s momentum builds and races home to its incredible climax. I LOVE the direction this film takes the series and can’t wait to see where it goes next. 9. THE GREATEST SHOWMAN – Hugh Jackman has said that “A bad musical stinks to high heaven, but when a musical works, there’s nothing like it. It’s everyone coming together and opening their heart.” THE GREATEST SHOWMAN worked for me and opened my heart, too. Its reverence for musicals of old shines through every frame and its impressive soundtrack has been played on repeat endlessly since my first viewing of the film. It may not be a perfectly accurate historical representation of P.T. Barnum, but as entertainment it is a fun and emotionally provocative family-friendly film complete with several inspirational messages. It’s the kind of film that deserves being seen with an audience, a real crowd pleaser. 8. DARKEST HOUR – Winston Churchill is a fascinating figure. Historian and politician, but also extraordinary leader. His actions within that first month as British Prime Minister changed the course of world history. Had he sued for peace, who knows if Hitler would have been stopped from overtaking Europe (and beyond). DARKEST HOUR is a high-energy thriller as much as a period piece drama, with Wright combining the two styles to form an incredible, visceral, inspiring film experience that is anchored by Gary Oldman’s award-worthy transformation and performance. 7. THE FLORIDA PROJECT – THE FLORIDA PROJECT wowed me in a way that few films did this year. I resonated deeply with its primary theme of empathy. As a parent myself, watching it was sometimes difficult but always worthwhile. My hope is that many will see this poignant film and begin to look a little more closely (and with more compassion) at those outside the margins as they go about their everyday lives, and perhaps even be called to action. Sean Baker continues to be one of our best young directors and he has created a film that is unforgettable down to the final shot. 6. SONG TO SONG – For those willing to meet director Terrence Malick halfway and open themselves to engaging with the film, SONG TO SONG offers a moving emotional experience. 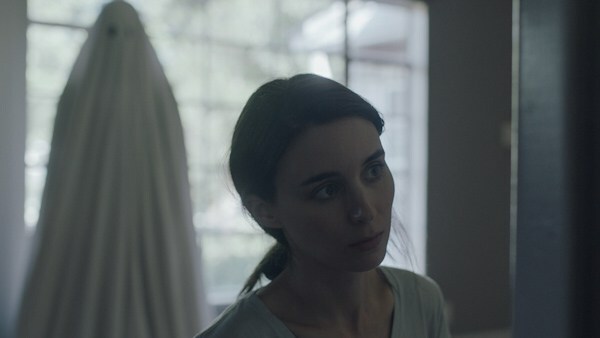 Its dialogue is lyrical poetry that works perfectly in concert with Emmanuel Lubezki’s stunning cinematography, an expertly balanced soundtrack, and wonderful acting performances all around. This may be some of the least abstract and aimless work Malick has ever produced, but it is also among his best, and quite possibly my favorite. SONG TO SONG is a film that needs to be more than just seen, it demands to be felt. 5. DUNKIRK – Christopher Nolan’s vision of this important but little known battle is a hold your breath affair, set to an almost never ceasing Hans Zimmer score that is pounding with atmospheric dread. Fear, after all, is at the heart of this portrayal of the civilian rescue of nearly 330,00 allied troops pinned down by Germany on the beaches of Dunkirk. It is a wholly unique war film, gorgeously shot and focusing on the authenticity of its characters’ feeling, displayed much more in act than exposition. A truly remarkable achievement that left me shaking in amazement and raw emotion. 4. PHANTOM THREAD – In what has been proclaimed to be his final performance, Daniel Day-Lewis once again collaborates with director Paul Thomas Anderson for a story about an obsessive man, this time with an unconventional view of romance set around the industry of high fashion. 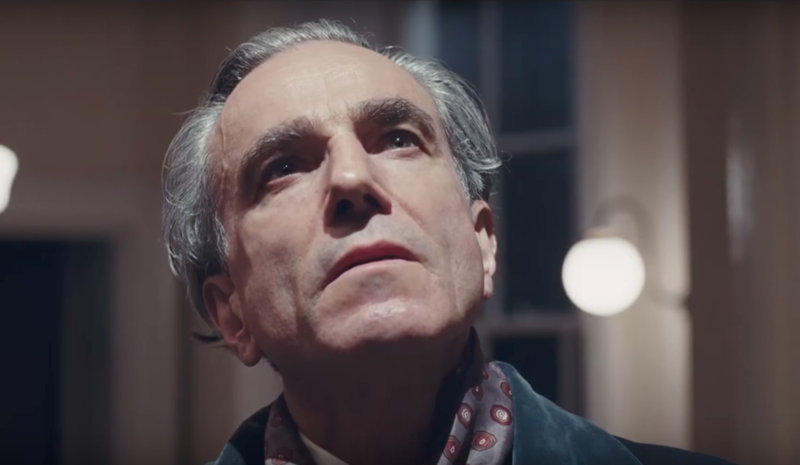 Though PTA’s films have never spoken to me before, PHANTOM THREAD is captivating from the opening scene to the end credits and casts a spell unlike any other film experience in 2017. Thematically, it’s exploration of submissive/dominant relationships makes it feel like the arthouse version of MOTHER! combined with FIFTY SHADES OF GREY. Cinematically, it is one of the most well-crafted, stunningly beautiful, perfectly scored, impeccably acted dramas I’ve seen in years. PTA’s meticulous attention to detail marries so well with Daniel Day-Lewis’ devotion to character immersion, and on top of that newcomer Vicky Krieps is every bit DDL’s equal, flat out owning the screen in every scene. This film left me unable to shake it for a month and dying to talk to others about it. If this is really Day-Lewis’ last hoorah, he goes out with a bang, and PTA has a new fan. 3. WAR FOR THE PLANET OF THE APES – Matt Reeves’ WAR FOR THE PLANET OF THE APES is the rare third film to end a trilogy on the highest of notes. It is a spectacular marvel of technical achievements, acting, and thematic blockbuster storytelling that uses Biblical, historical, and cinematic references to craft a compelling epic. It has surprisingly limited action and the film lives in bleakness, but out of that comes a celebration of the human spirit – embodied by apes. Caesar’s journey is gripping from beginning to end, filled with emotional depth and moral complexity. His place among the greats is now secure, and the trilogy stands as one of the finest the 21st century has seen. APES. TOGETHER. STRONG. The films above are all exceptional works of art which I expect to remember many years from now. These last two films, though, are special to me, and choosing between them was an impossible task. Both of these films are guaranteed inclusion in my next Top 100 Movies update, and as much as I just want to make them 1a and 1b, I made the hard choice. So for today, this is where they fall. 2. YOUR NAME (KIMI NO NA WA) – Like many Americans, my only exposure to anime films prior to this were the works of the great Hayao Miyazki. But when I heard that this film had broken box office records to become the highest worldwide grossing anime film in history, I took notice. Directed by Makoto Shinkai, YOUR NAME is the story of a star-crossed boy and girl, perhaps destined to forever yearn for a meeting that will never come, connected across space and time by an unexplained magic and framed against the backdrop of an impending supernatural disaster. It is a story of dreams (and desperately trying to not forget them), time travel, body swaps, natural disaster, coming of age, and romance that is emotionally riveting from beginning to end. 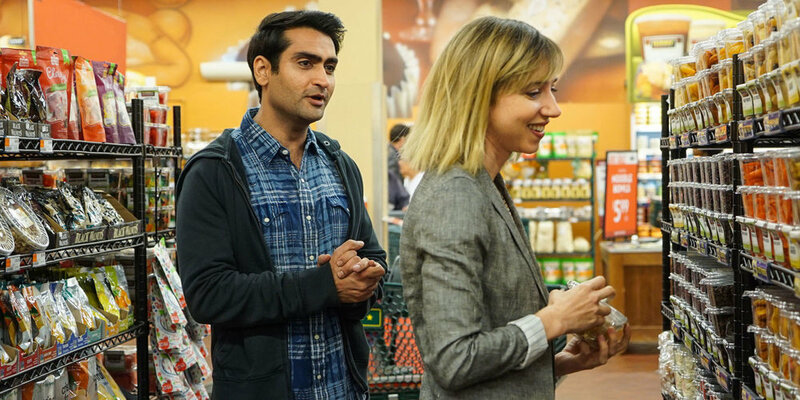 Comedic at all the right times, soul-crushingly painful, and yet tender and hopeful. This is an animated masterpiece that goes far beyond its dazzling visuals and one of the very best films I’ve seen this decade. 1. BLADE RUNNER 2049 – It took more than one viewing to get there, but after seeing my most anticipated film of the year three times, Denis Villeneuve’s sequel to the 1982 classic BLADE RUNNER is more than worthy of its name. Staggeringly incredible cinematography by the masterful Roger Deakins is matched by a thought-provoking, multi-layered script. Not a single word of dialogue is wasted. So much emotion is conveyed through expression and silence. Performances are brilliant and memorable. The film strikes an ideal balance between cerebral and action-packed while remaining so mysterious that even more is revealed with every subsequent viewing. Despite being over two and a half hours long, it is so immersive that I would have gladly lived in this world for two and a half more. Inconceivably, an improvement in every way over than its hallowed source material. 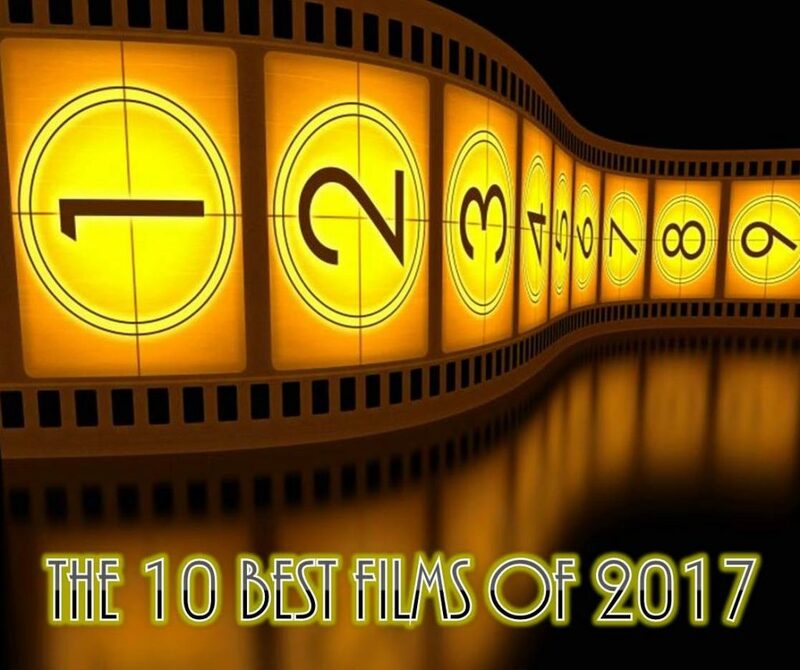 Cinematic perfection – the best film of 2017. And now for the rest. In many cases, multiple viewings and rewatchability were major factors in determining how to order these. Keep in mind that just because a film isn’t listed doesn’t mean it wasn’t incredible. I could list another 20 “great” films from this year that deserve attention. 2017 was truly an excellent year. Here’s hoping that 2018 is even better, but if it’s not, we’ll always have these gems.